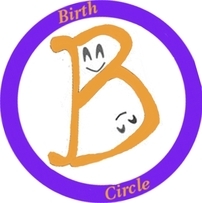 At a birth circle you'll find a supportive, confidential, pluralistic, environment where you can meet people, share experience, and ask questions about the journey to motherhood. You can hear a range of experiences as you prepare to birth your baby, and ask questions about birth, babies and parenting. You'll have a chance to tell your birth story and be heard, and to process your story in new ways. You'll meet other pregnant women, new moms, birth professionals and birth enthusiasts. Each circle includes refreshments and is hosted by a co-sponsoring institution in different locations around the Boston area, and is focussed around a theme to guide the discusion. Expectations - What did or do you think it would be like, to be pregnant, to give birth, to be a parent? How did you expect to feel, to act, to respond? How did your expectations compare with your experience? What went as planned? What surprised you? Relationships / Family - What does the birth process change about relationships with your partner, parents, friends? How does it affect the way we see ourselves, the families we're coming from, and those we're building? Control - Who (if anyone) is in control throughout the birth process? How much control can we maintain? Is letting go a necessary part of the process? How is the birth experience affected by our attitudes toward authority and autonomy? Fear and Faith - How does fear -- of parenthood, of pain, of change, of loss -- play into our experience of pregnancy and birth? What scares us? How do we overcome it? What or who do we trust in the face of that fear? And how does that faith affect our choices?